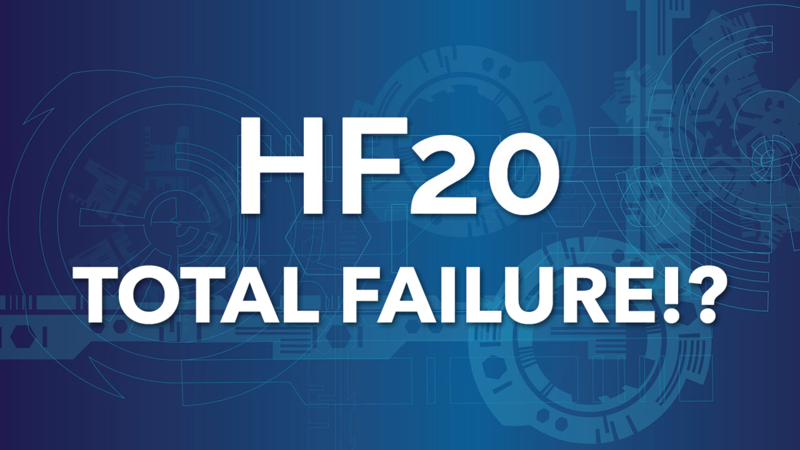 HF20 - A Total Failure!?.. What in the World Is Going On!? I know. I know. People are upset. And they can't even write a post (or comment on the @steemitblog) to voice their concerns and frustrations. I'm in the same boat. In fact, I might even be worse off than most. My "mana" (new voting power) is -8,254%!! Chances of this post even being published are pretty bleak. Like most others, I'll be waiting several days before I can post, make a comment, power up Steem, or do anything really. And no, this is NOT what Steemit Inc. expected to happen today. It was a flop on their part and goes back to what I was saying yesterday about testing the blockchain version before going live. I feel that perhaps no testing even took place prior to today's launch. "We've successfully forked the blockchain, the new RC system took all of the pre-hardfork transactions into account, which made transactions really expensive (in terms of RCs) and also took most users RC balance into the negative. There is a patch (20.3 which is currently tagged as master) which witnesses are applying to address the issue. Even after the patch, it is expected that it will take some time (around a week or so) for the new RC system to reach an equilibrium and be charging the right amount of RCs to users based on the desired usage limits we want to enforce on the blockchain." In short, we're now applying a patch that should fix some of the issues with the new Resource Credits, but we'll still be at a standstill for some time. Will it be days? Weeks? I'm really not sure. But I just applied the v0.20.3 patch to my witness and it's up and running successfully. Once all of the top witnesses apply this patch we'll see what happens. But I'm not sure how much difference it will make at this point. We're still learning more about what's going on. Lessons from today will be learned. And hopefully measures will be taken to ensure that this never happens again. There's already talk in the Witness forum to not vote on these hardforks until we've been given proper assurances that they've been tested. I'm on board with that because I feel this has been a total disaster. The very thing (Resource Credits) that were supposed to bring a better User Experience, have brought our blockchain to a halt. And this comes only a few days after our previous crash. We can do better. Much better! And I expect we will in time, IF we learn from these mistakes. I'll let you guys know more as I find out more! I was at -26700 % RC, lol, and suddenly it was "cured". It was indeed a flop, but let's not focus on that. I am quite sure they are aware that this was very bad publicity. We need to focus on the future now! And hope that HF20 is an improvement in the long run! Yes, this was due to the patch that we deployed (v0.20.3) and the fact that the Steemit.com platform is now running 0.20.3. Should see some major improvements over the next 24-48 hours. RCs should be a great thing for the long run, I just wish their launch had been tested more thoroughly. One thing to note is that Steem is a first-of-it's-kind freemium blockchain social platform, so we're front runner's in a new market. We're the guinea pigs, so to speak. So we have to give ourselves a little break. Well said, thanks for the update. It's not so bad. I have just updated my blog. I can vote again! Woot! And comment! voting power for me is at 26% boy oh boy. what a mess. but alas. i hope it was a huge lesson for everyone and we can move on. not a good start to the promises of hardfork20 but we shall continue and move on. We "should" see some improvements over the next 24-48 hours as the system stabilizes. Should being the key word there lol. Thanks, Brandon. Where can I see my RC? Is it still the same as VP? No, it's completely different now. 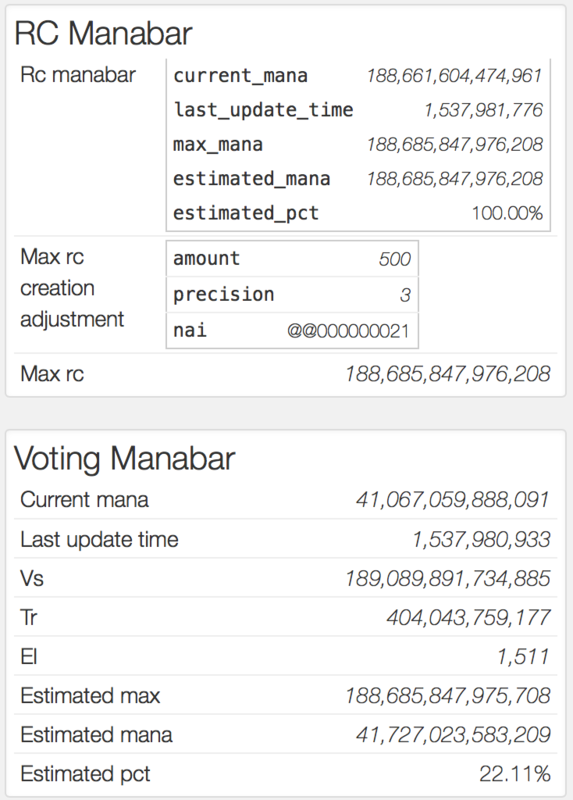 Voting Power is now "Mana", and Bandwidth is now "Resource Credits". I believe www.steemd.com is now updated but it still shows Voting Power which is irrelevant. From what I understand, your Voting Mana is what controls votes and the RCs are what controls everything else. And I know, I know.. this was supposed to simplify things LOL. If they would have added this to the User Interface (which I totally assumed they would've done) then it would've made things easier for people and really "gamified" the experience. Sounds to me that the next step should be to update steemit. I don't like the explanation that it was a 'debt'. That means I am going to be severely limited on Steemit moving forward. Oh FFS..I upvoted this post and realized my power has dropped to 25%. See you next week I guess. I am so annoyed. @brandonfrye how does this affect the bots, @steembasicincome and lets say everyone who wants plankton votes ? i can't make a 1500 character post at 20.000.000 RC and a 15SP accounts only has 30 million , total disaster is a bit of an understatement, it feels like total sabotage of anything but whales, who the hell is gonna waste rc on commenting if they can either make one post or cast 9 votes or make a small comment ? (this probably sets me back to zero rc again lol, 4 of my 5 accounts are screwed, i can't do my distros , all those people voting on it lost, on the "most advanced blockchain in the world" im now forced to make posts-a-day of 1500 characters writing compact potter fiction ? What you’re experiencing now is temporary. The mana/rc system has to find equilibrium and that could take a couple more days.